Toronto in the 1970s was by all accounts a wild place; industrial soot from decades past still coated the city, but a cheery makeover saw new icons appearing at an accelerated rate - The CN Tower, The Eaton Centre, Ontario Place, The Metropolitan Zoo, The Toronto Blue Jays and Citytv, all born in the so-called decade of malaise. Here are few of the best examples of films and TV shows which perfectly captured that transformation in 24 frames per second, and in some cases showcased the new iconographic Toronto sites better than then anyone since. Everything from Letterkenny to Bob & Doug Mackenzie to Trailer Park Boys owe their existence to this, the original low-rent adventures of two Nova Scotian hosers who set upon 1970 Toronto looking for girls, booze and darts. The original "Cancon" movie is a grimy glimpse into the endless possibilities Toronto of the 70s could offer, and was directed by none other than Donald Shebib, Drake producer Noah Shebib (aka 40)'s dad. Like a 70s Toronto-set CSI, The Collaborators explored the hot-blooded conflicts between forensic scientists working in Metropolitan Toronto Police Department and the hard-boiled detectives and street cops on the front-line. With episodes set in the Scarborough Town Centre, seatbelt-less high-speed chases with Yellow police cars and a menagerie of exotic villains that ranged from gay Nazi bikers to roaming gangs of mute children, this series could only have existed in brown and orange haze of 1970s Toronto. A madman terrorizes a sorority house at the University of Toronto, first pestering them with a series of vulgar phone-calls, then murdering them as their fellow students melt away for the Christmas holidays. 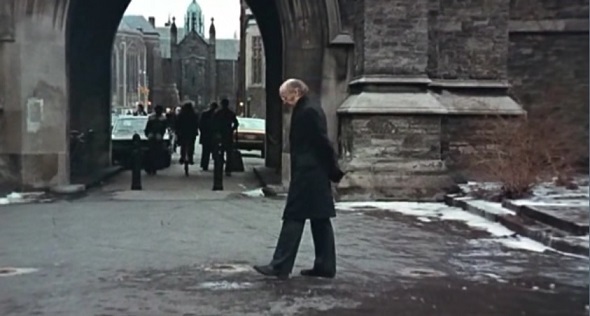 Crafted the template for the next decade's slasher craze (erroneously credited to John Carpenter's much more celebrated Halloween), but instead of suburbia or summer camp it's bleak U of T architecture in wintertime. TVOntario's first foray into kid-friendly Science-Fiction, this surprisingly bleak and gritty time-travel series was filmed in and around the industrial wasteland that was Liberty Village circa 1974. By climbing into an old trunk, young Timothy travels back to Toronto in 1874, where he befriends travelling elixir salesman Zachariah Gibson as they traverse the equally unpleasant realities of Toronto in the past, and Toronto in the future. CBC's violent, proto-Hill Street Blues cop show was shot entirely on location across the city, giving an authentic flare and coming across almost like a documentary chronicling the mean streets of Toronto. Criminally this series remains a lost relic, never repeated and thus far absent on YouTube. With a dynamite opening theme song by Chuck Mangione, to boot. The opening titles alone elevate this rather patchy CBC show to legendary status. 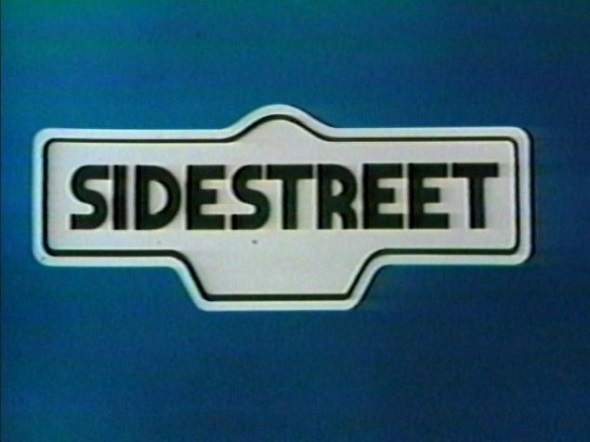 While most of the series was shot on stodgy soundstages, the location footage establishes Kensington as a kind of zenith for Toronto's multicultural harmony, something which until the 70s was never really seen on TV. 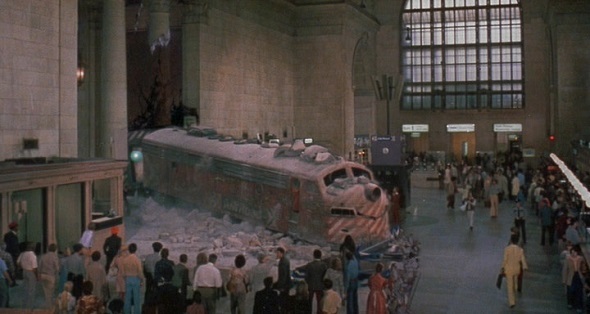 Set on Chicago-bound train, this Gene Wilder/Richard Pryor comedy-thriller shot its climactic finale - the train smashing through a barrier and into the terminal - at Union Station. Chicago and Toronto have always been correctly comparable, so we'll give this cheat a pass, plus it's great to have this particular incarnation of Union captured on film for prosperity. TV sequel to the cult '60s tele-fantasy series The Avengers set 4 episodes in Toronto, all of them crackers. Assassins atop the CN Tower, bullet-spraying villains commandeering a Toronto Star delivery van along the Lakeshore, Secret agents rendezvousing at the Eaton Centre, political prisoners at the CNE, this truly bonkers series played out Toronto locals for all they were worth. Gonzo Italian rip-offs of King Kong don't come anymore unhinged than this. A giant Yeti is unveiled to the public out front of City Hall, after which it goes on a city-wide rampage looking for its true love. Sadly for film lovers everywhere he does not climb atop the CN Tower. The Ontario Science Centre stands in for a futuristic Toronto where nasty scientists have used time travel to bring a Neanderthal child into the future. The Neanderthal child was played by local actor Guy Big, who had famously appeared as mini-Count in Billy Van's Hilarious House of Frightenstein, and who sadly passed away the following year. 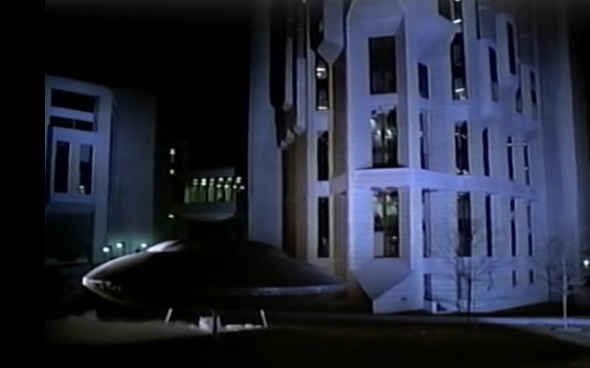 Aliens from a dying world attack Toronto - and even land a UFO in front of Robarts library! The Ed Wood style of acting and special effects, and constant shout-outs to the Toronto Star make this a guilty pleasure. The film stars Christopher Lee and Robert Vaughn, who were clearly only in it for the drink money. A virtual funk-fuelled A-Z of Toronto circa 1978, this crafty crime caper uses a bank in the freshly minted Eaton Centre as its central location. 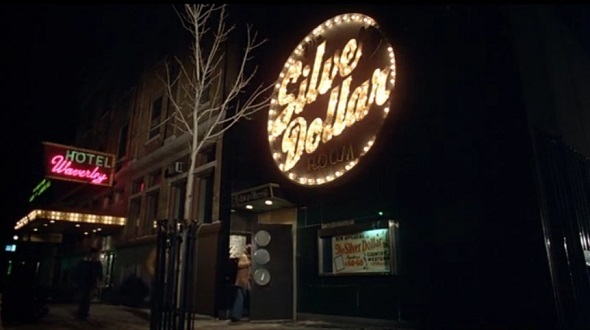 1970s stalwart Elliot Gould plays a teller, and his cat-and-mouse antics with cross-dressing bank robber Christopher Plummer cover Cabbagetown, the Beaches, the Gardiner Expressway, The Silver Dollar Room, and even a romantic date at Captain Johns! David Cronenberg's ice cold treatise on divorce, this classic Canuxploitation horror flick features one of the greatest scenes of kindertrauma ever committed to film: Two mutant children attack Brown Public School on Avenue Road near St. Clair and brutally murder a teacher in front of her young pupils. Anyone who attended a Toronto school in the '70s can relate - their sterile environments were the perfect setting for something awful. Filmed at the tail end of the decade but shelved until 1982, this tedious crime film features an explosive finale shot at the CN Tower. After opening fire on diners in the 360 Restaurant, perennial bad guy Christopher Plummer falls off the top of the Tower. The stunt was done by daredevil Dar Robinson, who jumped off the Tower for a cool $150k (he returned the following year to do it again). What did I miss? Please add your suggestion in the comments. Ed Conroy's Retrontario plumbs the seedy depths of Toronto flea markets, flooded basements, thrift shops and garage sales, mining old VHS and Betamax tapes that less than often contain incredible moments of history that were accidentally recorded but somehow survived the ravages of time. You can find more amazing discoveries at www.retrontario.com. Win passes to an advance screening of Shazam!